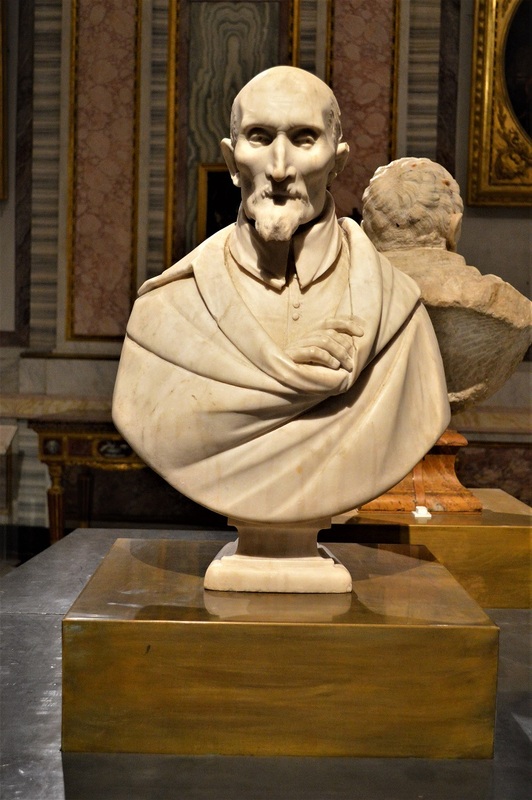 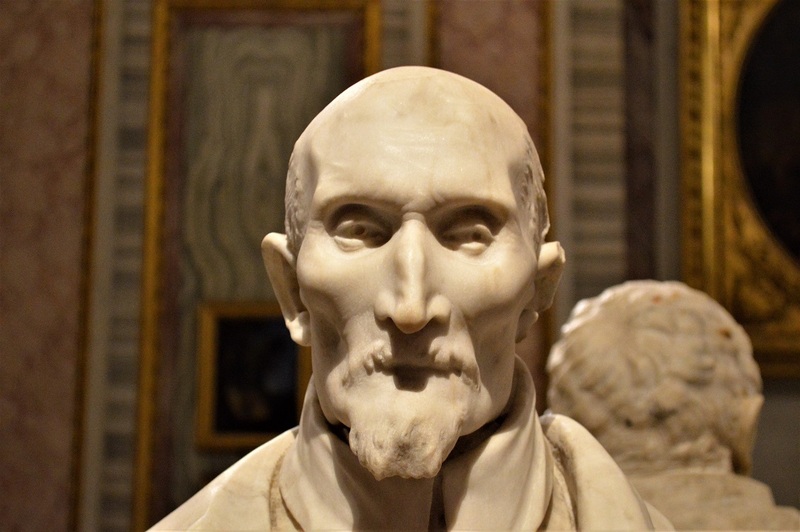 Antonio Coppola's bust is presently (December 2017- May 2018) situated in Galleria Borghese, in Rome. 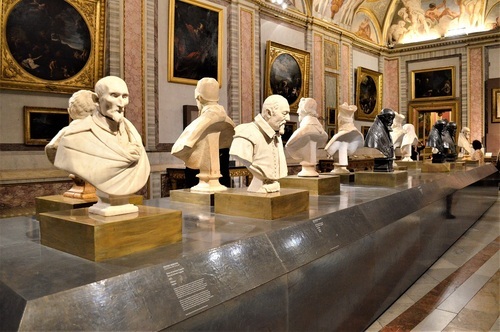 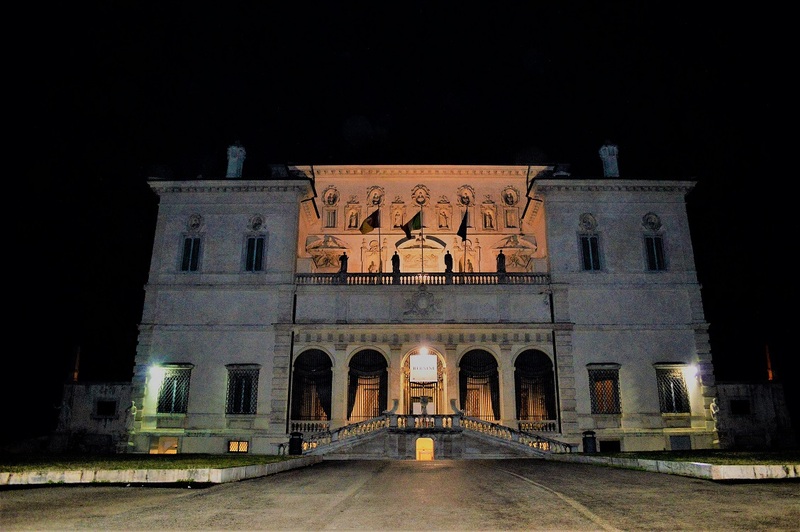 The bust, at the end of exhibition in Villa Borghese (May 2018), will be brought back to its usual location in the Church San Giovanni dei Fiorentini. 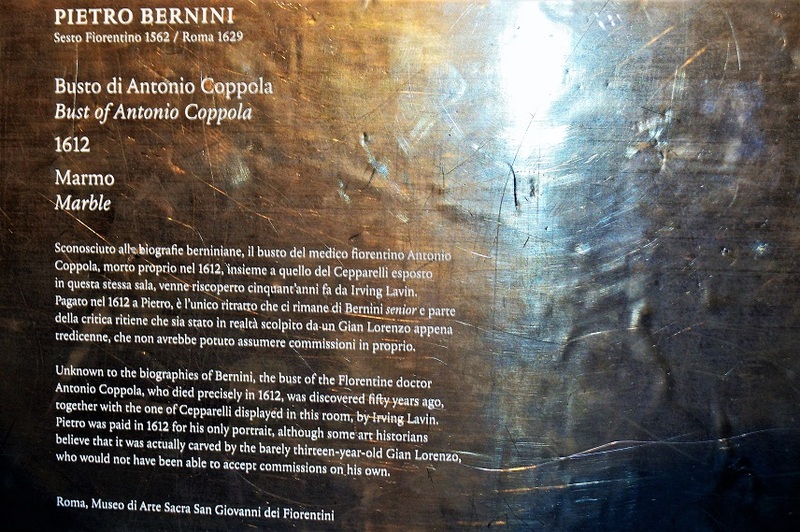 Antonio Coppola was a surgeon from Florence (Italy) who belonged to a fraternity whose purpose was to assist poor and sick people. 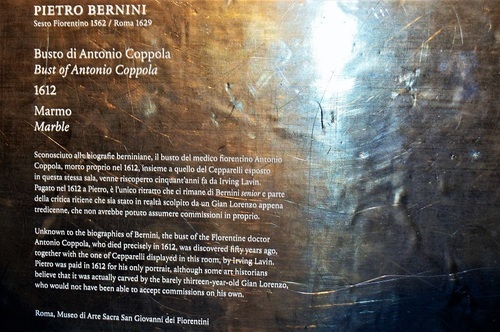 He was a benefactor of the hospital that was located near the church of San Giovanni dei Fiorentini. 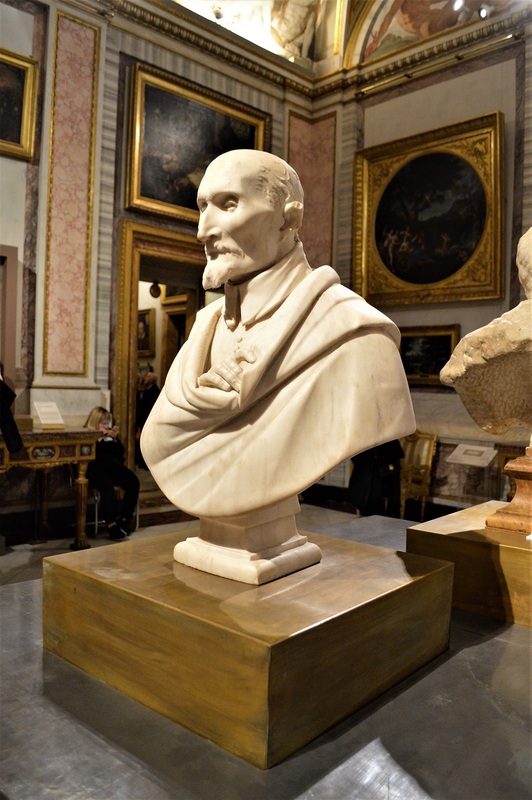 The bust was commissioned after Coppola's death, in 1612, to the sculptor Pietro Bernini, father of the then young Gian Lorenzo. 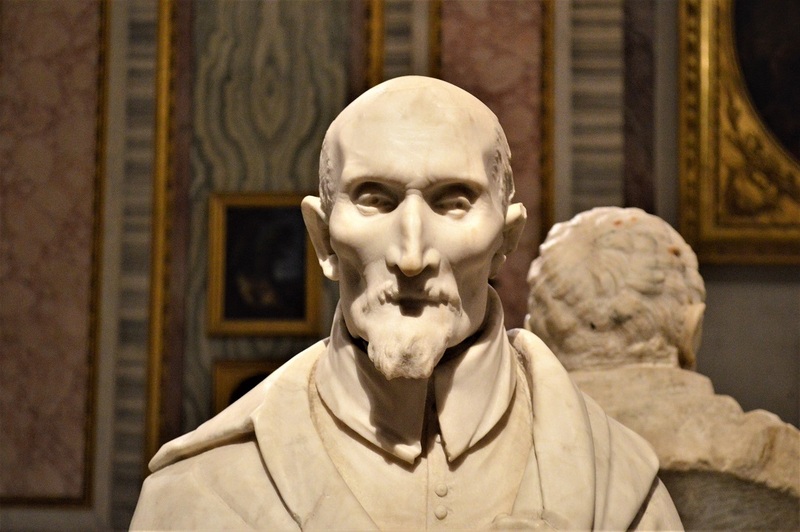 The bust is among Gian Lorenzo's first works and shows elements of novelty, evidenced in the naturalism of the face and the bony hand that tiredly holds back the mantle.